The Republic of Ireland (Poblacht na hÉireann) economy has been on a roller coaster ride for the last few decades. As with any economy success is dependent on many outside influences that can sometimes bring down a thriving country. No success is without problems and Ireland has seen its share, although has been resilient in their quest for stability. At the moment Ireland is in a period of recovery, and since the 2008 financial crisis has been making progress to their previous economic status. As with any country that is experiencing economic growth, prices start to increase and therefore price people out of certain markets and services. How do costs affect certain industries in Ireland? Any service or product which is considered a luxury item usually sees a price increase in those countries that are prospering. One service/procedure which is seeing an increase in its cost is hair restoration or more specifically hair transplants. Not something that you would associate with a growing economy, but as wealth increases people are more willing to spend money on elective surgery. This occurs in every country and Ireland and the Irish are not immune to trying to look their best. Does Vanity affect someone’s decision to get a hair transplant? Let’s step back for a bit before we get into the “Vanity” discussion and not pigeonhole people who have hair transplants. As with women, most men try to look their best and whether its going to the gym or wearing certain cloths, there is a tinge of vanity involved. Obviously, women worry more about their appearance than men, but men do have their weaknesses and hair loss is their kryptonite. Any man worth his salt will start taking an interest in their hairline or certain areas of their head when in their early 20s. For those who have relatives with a full head of hair and no signs of loss, they will be less preoccupied with their hair. But for those who have a father with hair loss or a sibling, the concern will deepen as they age, and they will also start noticing their peers are becoming victims of hair loss. There are many ways in which a man can start to lose his hair, as well as the pace of hair loss. Some start to lose it on the crown (top) or head, while some start to see it receding near the temples or receding on the straight hairline of the forehead. In some cases, a man’s hair will start to thin all around his head, which is in some cases is not conducive to a hair transplant. Whatever the circumstance and pace of the loss, the loss of hair can have a significant affect on one’s self-esteem, while needing to be addressed as early as possible. 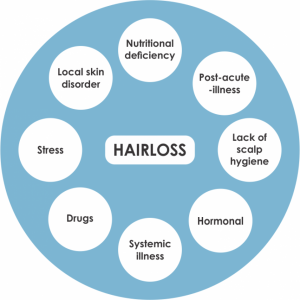 What are the causes for hair loss? The reasons for hair loss can vary, but the most common is male pattern baldness. Male pattern baldness usually occurs because of male hormone dihydrotestosterone (DHT) and genetics. There is nothing to backup claims of where it comes from and any suggestion that it is caused by your mother’s father is utter nonsense. One sibling could be bald, and another have a full head of hair, which should disprove these tales of hair loss. Another reason for hair loss is the medical condition called Alopecia Areata. With this condition, the person experiences hair loss on part or all of the body and is believed to be an autoimmune disease. Hair loss can also be caused by certain medications, more specifically in cancer patients having chemotherapy treatment. As a patient undergoes treatment with this powerful drug, hair loss can occur over time, resulting in total baldness on the head and over the entire body. The type of drugs used, and the amount have a direct affect on how much hair you lose and where you lose it. Again, depending on the drug and dosage, the hair may or may not grow back. In many cases the regrown hair will be of a different color and texture as well as curlier than before. There is no method to predict hair loss and regrowth in chemotherapy patients, while it is advised you speak with your doctor before any steps are taken to remedy your hair loss. Stress can result in the loss of hair, although not in the same way male patter baldness occurs. In many cases stress will result in the hair to stop growing or slow, which in many cases is tied to the medical condition Telogen Effluvium. Stress can also cause Alopecia Areata which is a different medical condition from Telogen Effluvium but can result in the same type of loss. In many cases the hair will grow back although the results can vary from patient to patient. This is another example which should remind those who are thinking about a hair transplant to consult their doctor and discuss the causes for the loss. Where does the Mature Hairline fall into the hair loss category? Most severe cases of hair loss start in men’s early 20s, while roughly 20%-25% of men will start to lose their hair in their late teens and early 20s as well. There are of course exceptions, but this is the usual progress of hair loss. 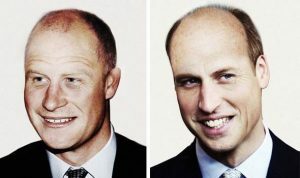 Unfortunately, as one gets older hair loss will occur although this is not considered a form of male pattern baldness. This older hair loss is usually referred to as a Mature Hairline. 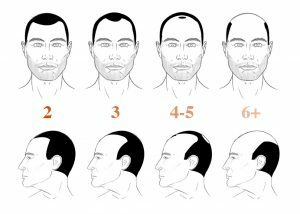 The main difference between a Mature Hairline and a Receding Hairline is that the receding hairline will continue while the Mature Hairline will be very slow and even stop. The Mature Hairline is a result of aging and will include the whole hairline of the forehead. On the Norwood Scale, a mature hairline is considered a NW2 which doesn’t require any procedure for hair loss. It is rare for any man to retain the same hairline his whole life while also losing some of the thickness. The receding hairline can also include the characteristics of a mature hairline, although the receding hairline will continue to recede. The receding hairline can also occur around the temples while the hair in the middle of the forehead stays the same. This is usually refereed to as a “widows peak” and is an early indication of hair loss. What are the Hair Transplant options for those living in Dublin, Ireland? As mentioned earlier in the article, costs for certain products and procedures are increasing in Ireland. 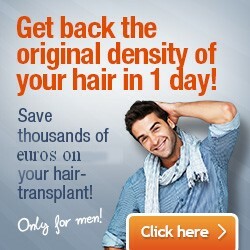 Hair Transplants are one of these that are getting more expensive, therefore limiting hair loss options for Irish men. Fortunately, there is a solution, and as a popular tourist destination and growing economy, the Irish have the option to fly abroad for their Hair Transplant procedures benefitting from the numerous flights to and from Ireland. As Medical Tourism grows in Europe, the costs for Hair Transplant procedures continue to decline while the quality increases. Hungary is the country that has established itself as the premier medical tourism destination and offers affordable opportunities for those living in Ireland. The procedures in Hungary are on par or better than Ireland and other EU countries, while providing affordable care for those from abroad. Ireland has the benefit of two quality airlines flying to Budapest, the Hungarian capital, each of which offers a specific service. For those willing to pay a bit more and take advantage of certain amenities, Aer Lingus, the Irish National Carrier, provides services to Budapest on a regular basis. If you want to pay less for your flight and do not mind low-cost carriers, then Ireland’s own Ryanair is an affordable option. Ryanair is not just another low-cost airline as in 2016 its was the largest airlines in Europe in terms of scheduled passengers while carrying more international passengers than any other airline. Your only out of pocket expense will be the airfare as the procedure and accommodations are included in the cost of your transplant. Hair Transplants in Hungary have become an enormous boon to the Hungarian economy and has placed Hungary at the top of the Medical Tourism pyramid. The quality of the hair transplants are second to none as the Hungarian Medical Schools are top notch and attract students from all over the world. The FUE Safe System which is the newest of the hair transplant procedures and available in Hungary can only be found in a few countries and is a certified technique and procedure. With the cost of the hair transplant and the airfare, the total cost of the procedure will still be 60%-70% less expensive than in Ireland or other parts of the EU and the UK. In less than 3 hours you can fly direct to Budapest from Dublin, spend a long weekend for the transplant and enjoy your time in the city and fly back to Ireland with a full head of hair. Its that simple and it will be a life changing experience. All presurgical consultations can be done via the Internet by providing specific information and images of the hair loss. Our consultants are waiting to speak with you in the hopes of starting a new life with a full head of hair. The Luck of the Irish can be found in Budapest!